Tickets will be able to be purchased from the Bathurst Information Centre or any show garden. $25 per person gives access to all gardens. $20 for seniors. Coach groups a specialty – each coach will be provided with a tour guide free of charge for the weekend. Held each year in October the Bathurst Spring Spectacular is hosted by members of Bathurst Gardeners’ Club Inc.
Net proceeds were donated to local charities. 2018 Recipients will be 2BS Lions Christmas Miracle Appeal, Mitchell Conservatorium of Music, Bathurst Community Transport – Radiation Therapy Transport Bus, headspace, Lifeline, Peel, Freemantle and Meadow Flat Rural Fire Services. Click any location within the list below the map to focus the map on that location. Firstly may I say what a pleasure it is for me to have been invited to speak this morning and to participate in the launch of the Bathurst Garden Club’s Spring Spectacular for 2007. And I would like to thank Judy Bayliss and Kerry Peck for their generous introduction. 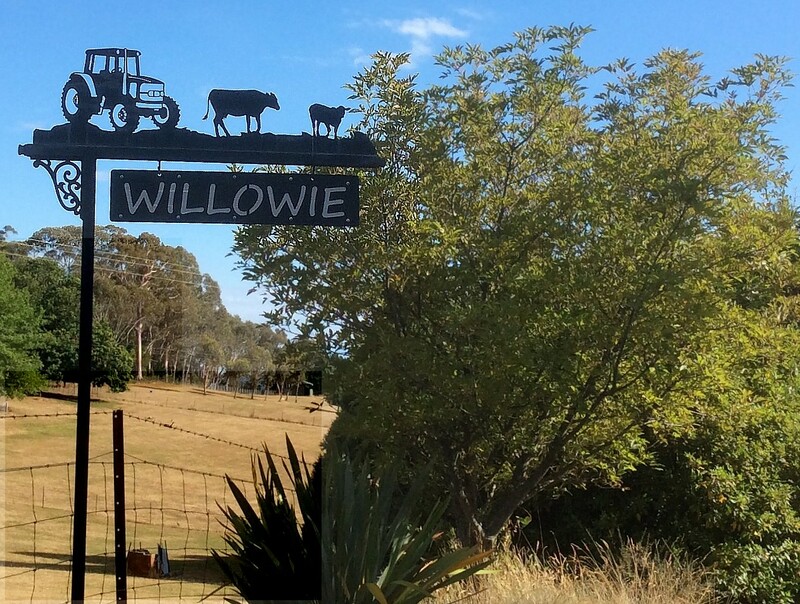 May I also just add a welcome to the Year 8 girls of Pittwater House Girls College who are spending the week in Bathurst and learning about our community life and history. I was reading an essay by Peter Watts  a former chairman of the Australian Garden History Society whose observations about the place of gardening in Australian culture make an excellent starting point for anyone who is giving some thought to our tradition of gardens and gardening in Bathurst or anywhere in Australia. 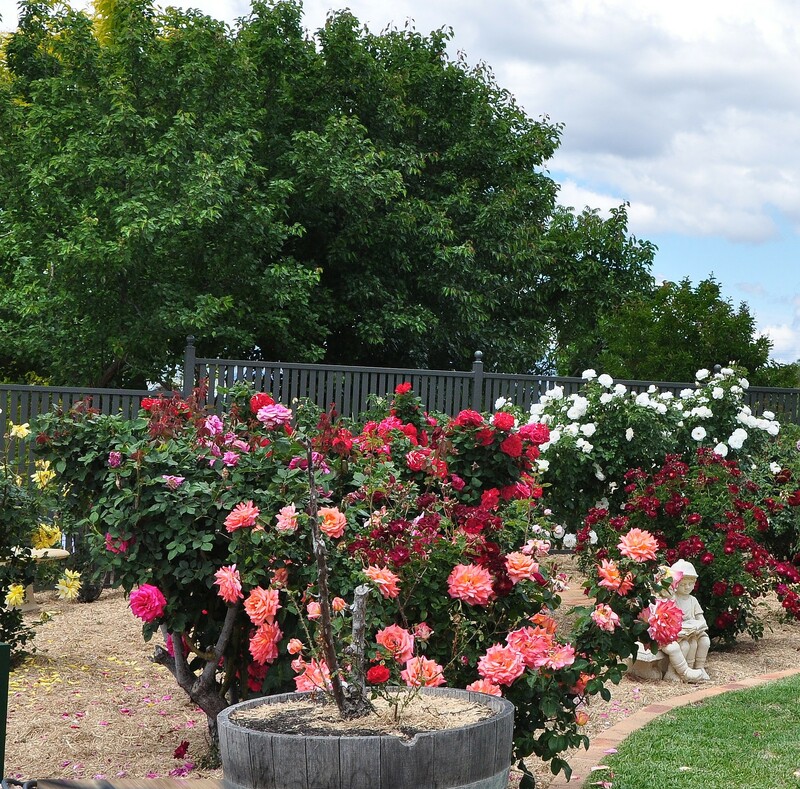 So said garden historian Peter Watts and it’s in this context that we launch the Bathurst Spring Spectacular and celebrate, as usual, our region’s wonderful gardening tradition, its wonderful gardeners and its wonderful gardens, this year focussing on the gardens around some historic homes. 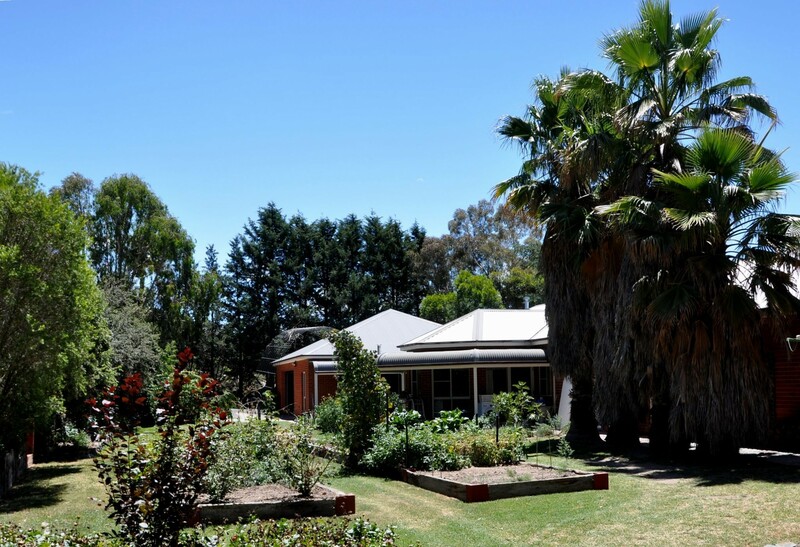 In 1991 Juliet Ramsay  wrote a detailed technical paper for the Australian Heritage Commission about how to classify and asses parks, gardens and special trees for the Register of the National Estate. She gave a comprehensive summary of the different main styles of gardens that most of our gardens can be linked to or identified with and she showed how different styles can usually be seen as layers in a garden which is old. 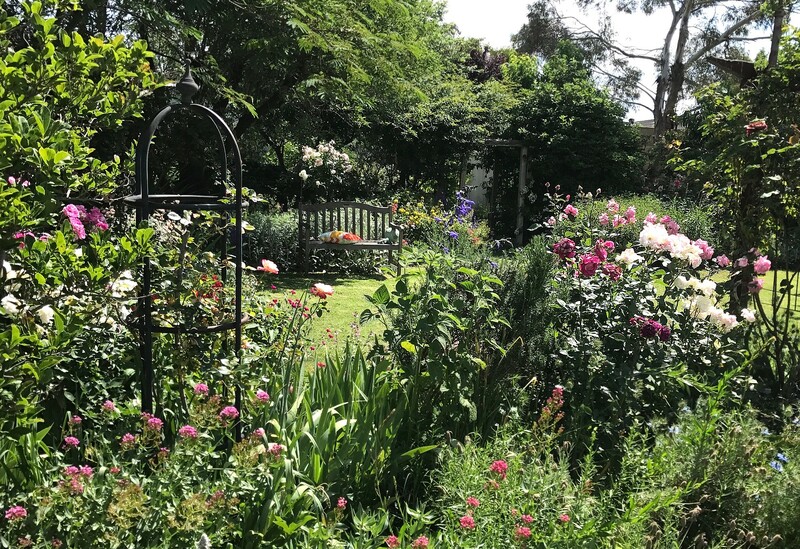 Gardens around historic homes – and clearly most of the gardens open this weekend – are old gardens, or contain old elements, and therefore reflect this notion of layers of different styles – a gradual evolution form one style to the next where each successive style incorporates what went before. In other words you could say that some gardens blend characteristics of more than one style and others have overlays of different styles constructed at a later time, thus demonstrating a continuum of history. To fully understand what is really going on in the type of garden you might encounter around a historic house this weekend we have to consider briefly the influence of a number of the garden styles documented by Juliet Ramsay  and how they can be observed as specific layers occurring in many of the nine gardens on show this weekend. Possibly, as a result of this process, we are transformed into garden detectives – looking for the evidence of change which reveals the stories of the houses and their occupants. The earliest strong influence for which we might find some evidence in the historic house garden is called the Arcadian in which early settlers began to look at the English landscape style to direct their garden designs. They did this because they were homesick for Britain and because they did not understand Australia’s plants and trees, seasons and climate. Countryside elements were the theme – and included trees, shrubberies, lawns and gravel paths flowing by means of the ha-ha wall (the wall or fence constructed in a ditch so that it was hidden from view creating an illusion of unbroken, open and continuous landscape with no apparent boundary between end of garden and beginning of fields beyond) into the broader landscape, creating a sense of pastoral and parkland harmony. 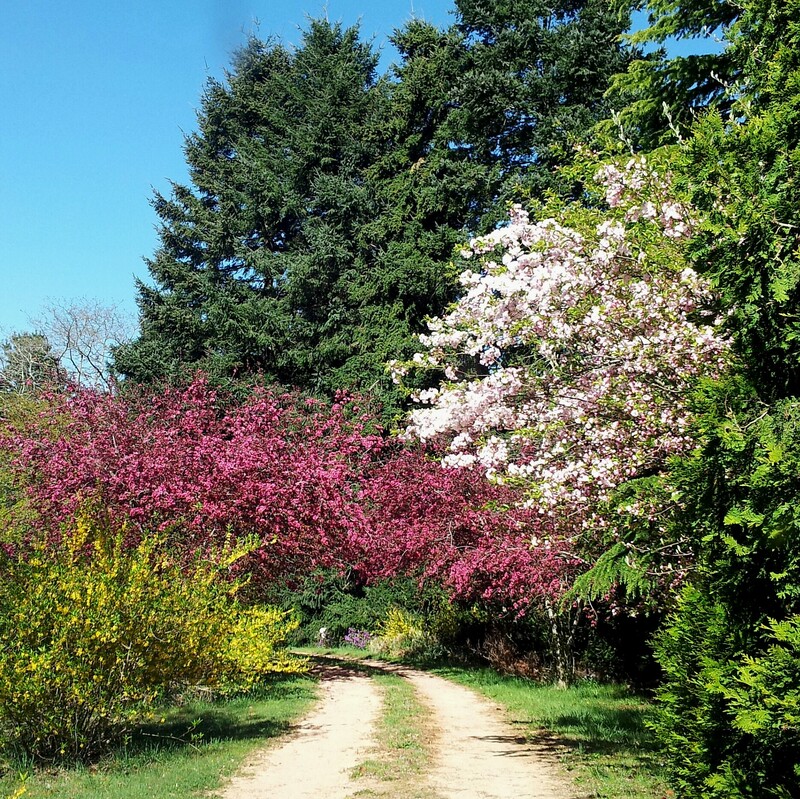 Trees were predominantly deciduous broadleaf species which provided the green summer landscape and the contrasting delicate tracery in a winter landscape with only a minimal use of coniferous species – commonly Stone Pines and Larches. In the Australian adaptation of this style there was a lack of the scale and wealth of its English antecedents which were the realm of the great country mansions and castles, and it had to cope with interpretation on a landscape vegetated by plants regarded as foreign, or inexplicably grim, or even just awful. 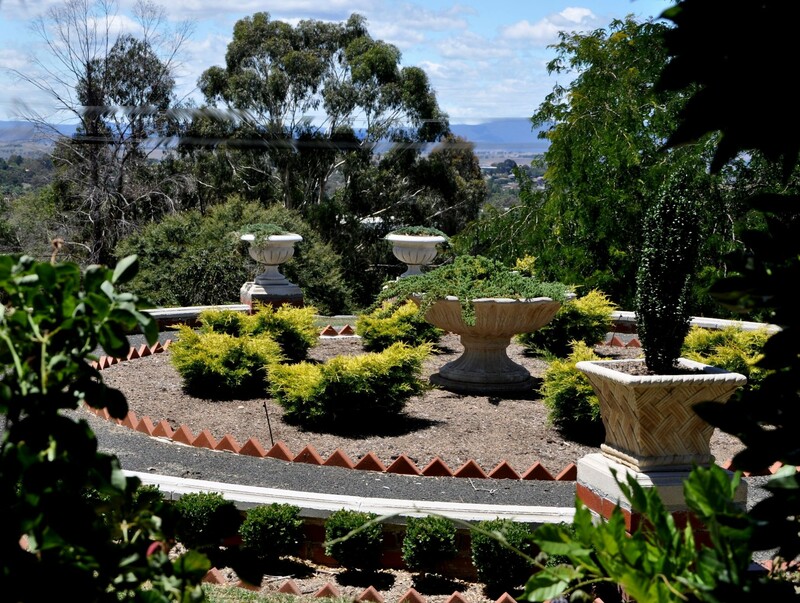 These Arcadian gardens were developed to create a setting for the homes of wealthy settlers which, in our region from the 1820s onwards, were largely in the Georgian or Regency styles. Many of the following observations about this and other styles are drawn from the previously noted work of Juliet Ramsay. 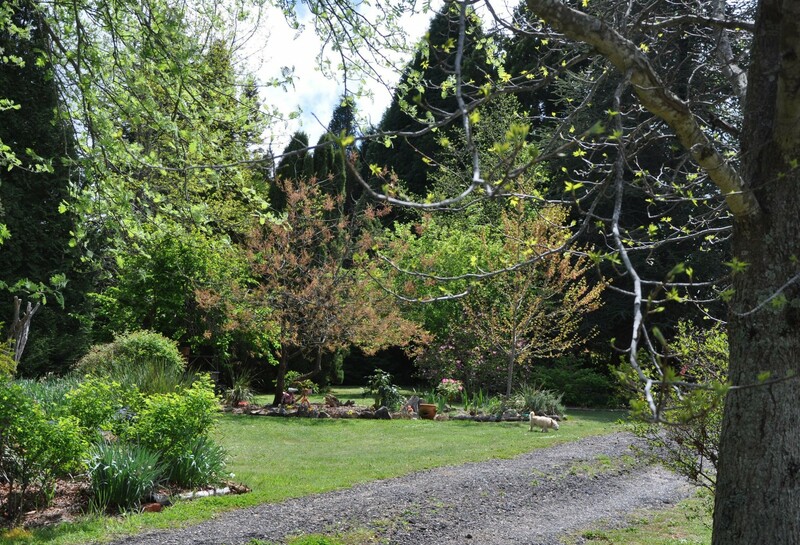 The Arcadian gardens were sited generally on a hill overlooking the property and approach to the house was by a gently curving carriage drive with avenue planting which allowed an occasional glimpse of the house and occasionally glimpses of approaching visitors to the homestead. 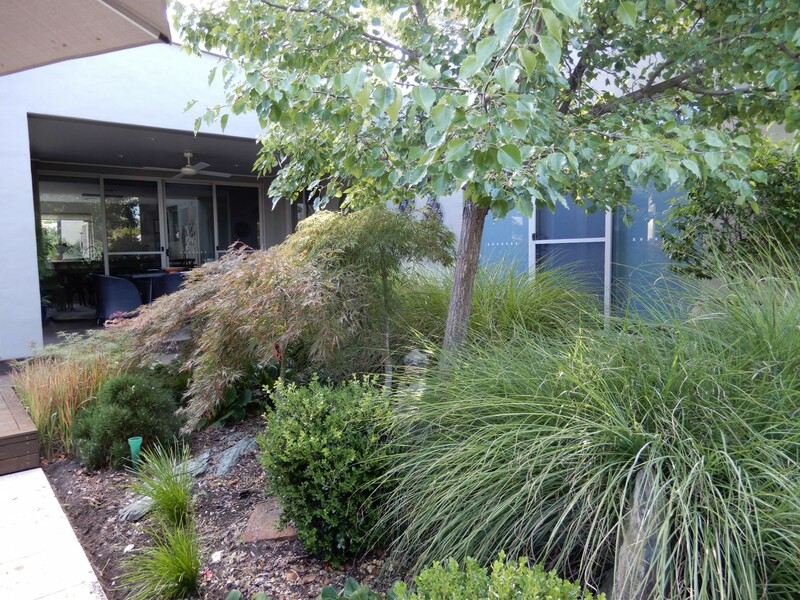 In inland New South Wales Elms were commonly used in these gardens with Stone and Monterey Pines for avenues and windbreak planting. 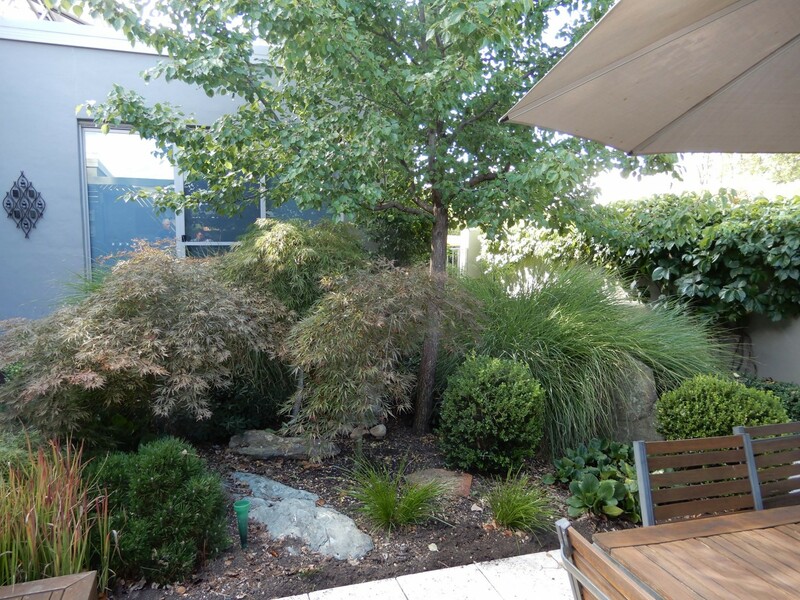 White Cedars and others were planted as specimen trees. 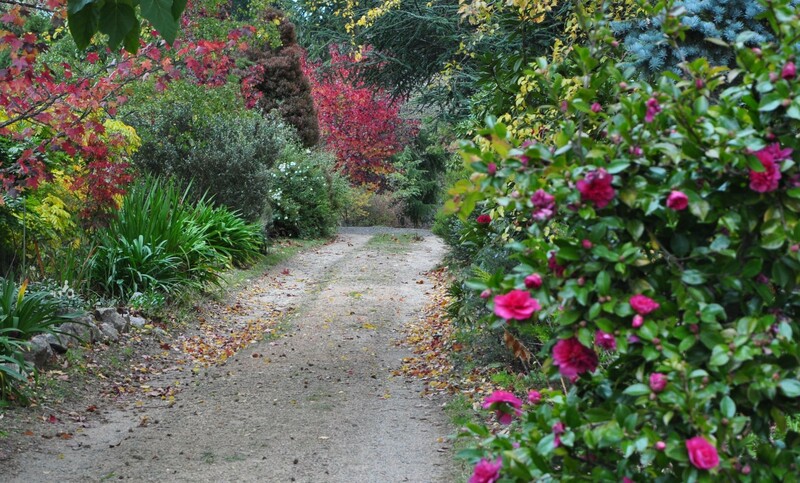 Shrubs were mostly hardy and selected for their evergreen properties rather than for floral display. 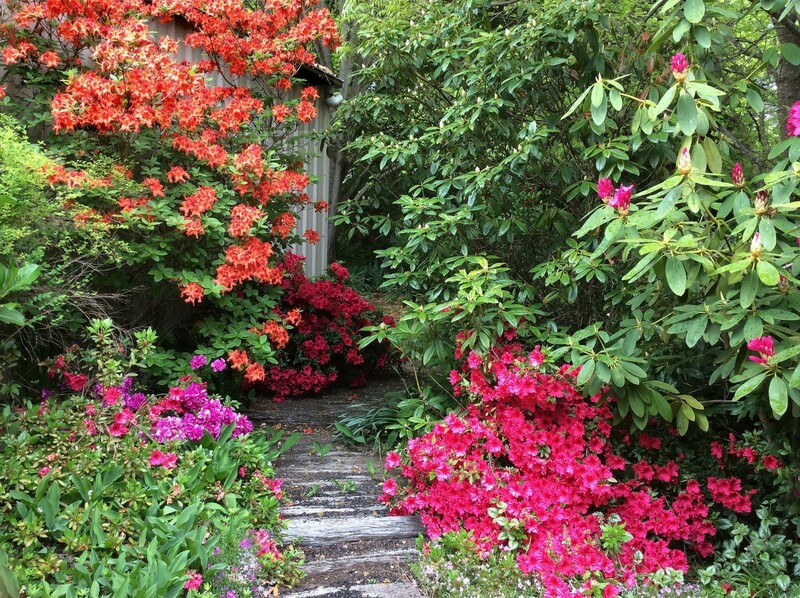 Flower gardens as picking gardens, as well as vegetable gardens, were often located in hedged or walled areas to the side or rear of the residence. As Arcadian gardens are now a great age, their character has changed. Mature trees of the avenue and garden perimeters now block vistas and give the gardens an introspective aspect. Overlays of flowerbeds from a later period sometimes diminish the strength of the former garden design which had large spaces outlined by trees. 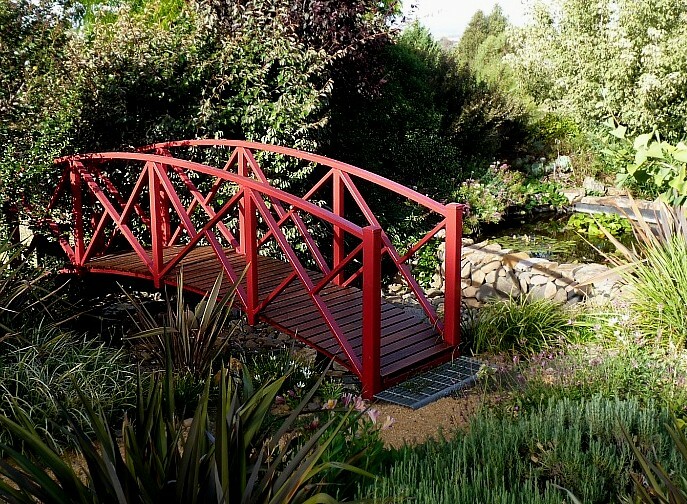 A great revolution in gardens took place in the Victorian era in the 1840s and it was driven by rapid progress in the understanding and study of botany, horticulture, floristry, floriculture and landscape design. The understanding of plants leapt from medieval mythical concepts to theoretical science. Botanists and plant explorers travelled the world seeking new plants and identifying them. 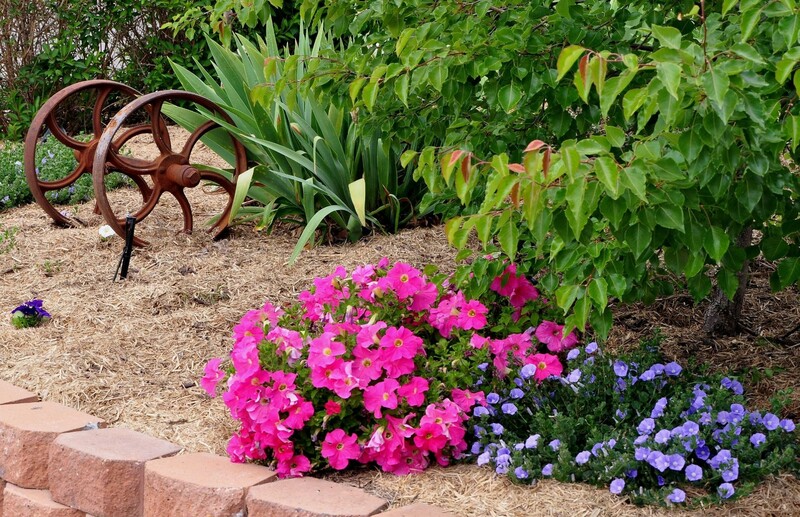 A new style emerged and it was called the Gardenesque. It was largely the result of the prolific writings of John and Jane Loudon who wrote about gardens, landscape and agriculture. 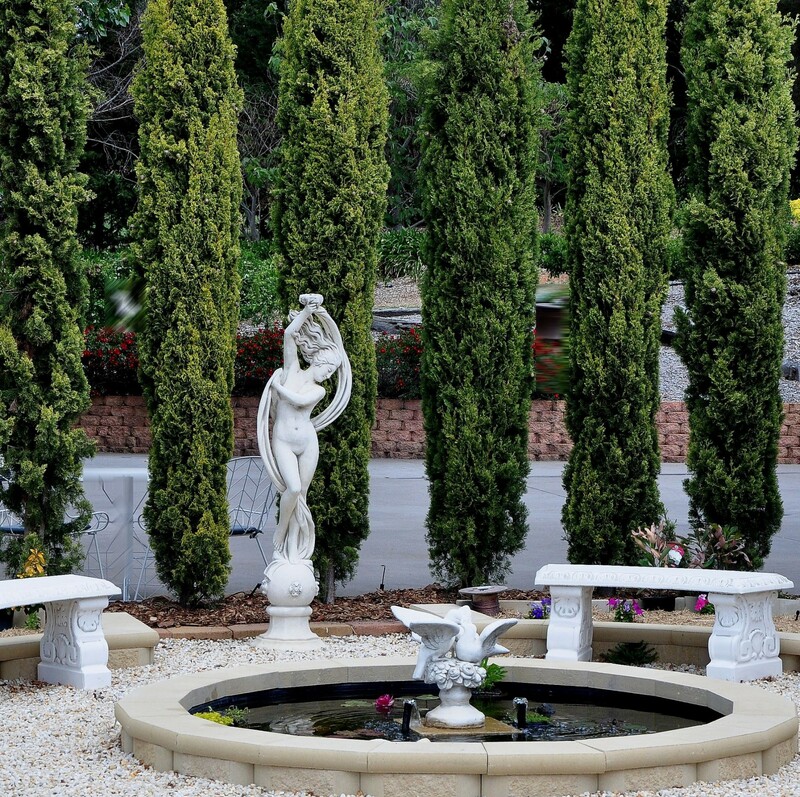 Features of the style were the use of distinctive plants as the ornamental features of a garden, individual trees and shrubs planted in an arrangement to display their individual form. Pleasure grounds were developed which consisted of lawns, shrubberies, flower borders and Dutch-style geometric flower beds. Garden beds often reflected form of the house and beds and lawns became more geometrically shaped with neat and tight curving paths. 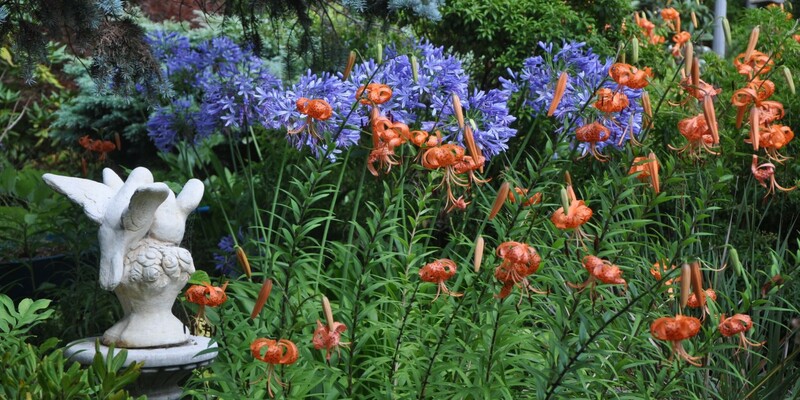 Many gardens were given special features or novel points of interest like grottos, rustic ornaments and ferneries. 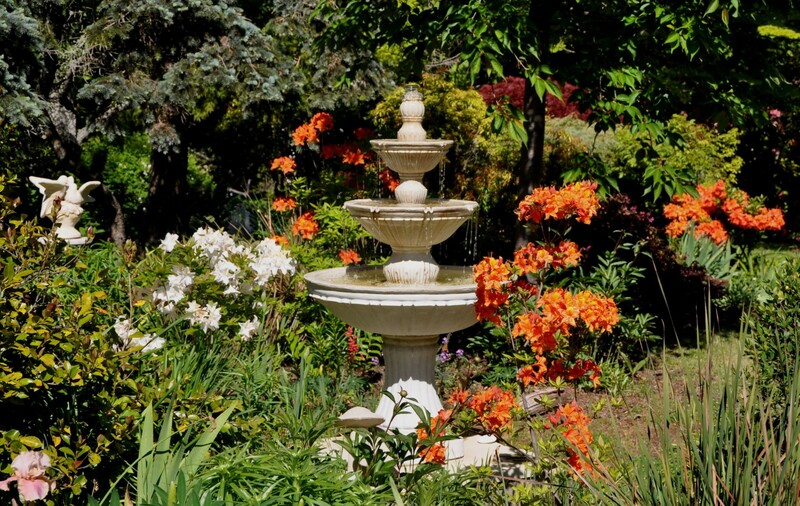 In England many private gardens were opened to the public which allowed the sharing of ideas and the sharing of plants. Australian nurseries had to meet the demand for new fashion plants and dramatically increased their stock of woody ferns, palms, grasses and cycads. 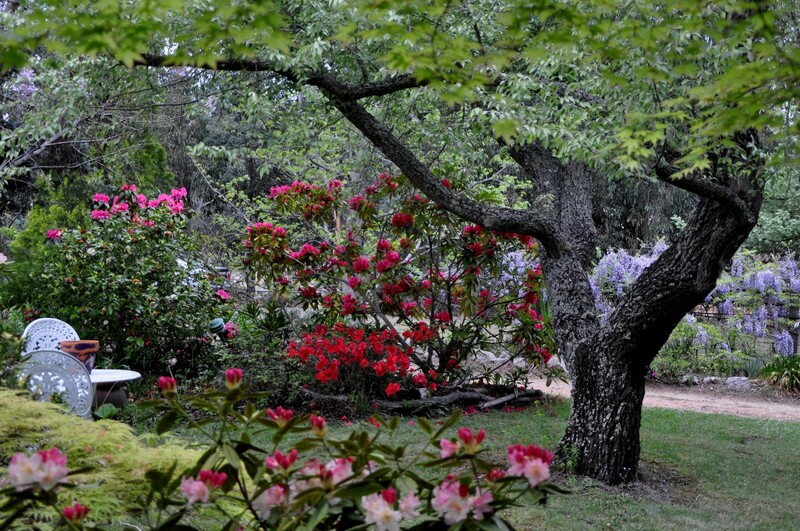 By the 1850s there was a movement emerging to make these gardens more formal. 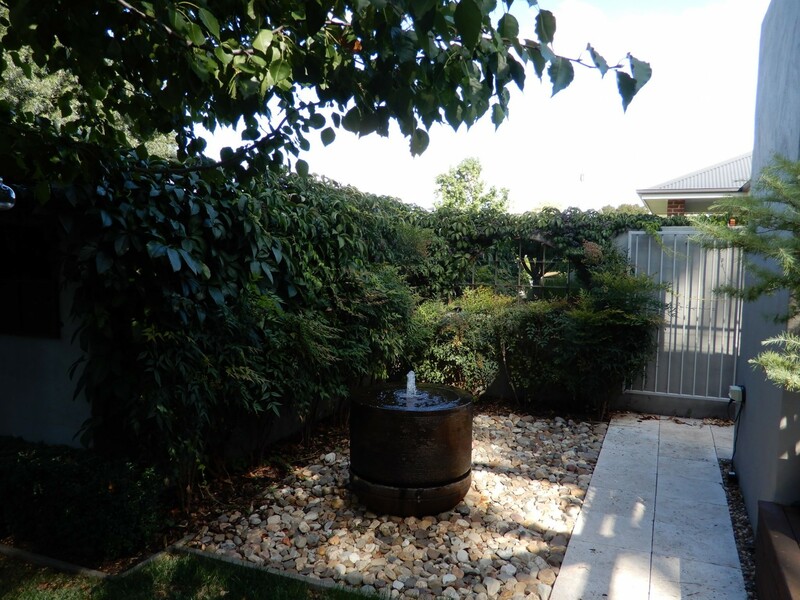 It led to the emergence of the High Victorian garden style which revived the classical features found in Tudor gardens in England several hundred years earlier. To be High Victorian a garden had to clearly show terracing, elaborate buildings, statuary, axial paths, summer houses and monuments. 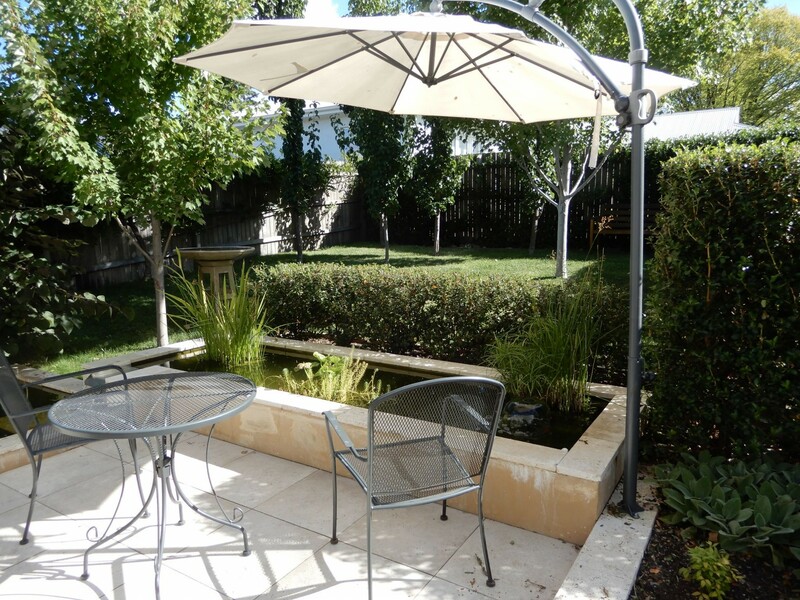 Private Australian gardens, institutional gardens and public parks adopted elements of this style. By the time the railway arrived in Bathurst in 1876 a great economic boom was well underway and the new wealth generated a sense of optimism and confidence and national pride. In the gardens of the historic houses this Boom is reflected in the additions of brash ornamentation. Cast iron lace work began to appear on buildings as exterior decoration. Urns, vases and statues enhanced the gardens and many more gardens were being created around the increasing number of houses and outlying mansions. The lawn mower came into popular use for the first time allowing many people to have croquet lawns and with the expansion of lawns, flower beds diminished. Mansions often showed characteristics of the Boom style in their gardens. Key features included the use of elaborate cast iron gates, a sweeping gravelled carriageway which terminated at the front entrance, flights of steps flanked by urns leading to well defined terraces. Rose gardens and rookeries were important features. 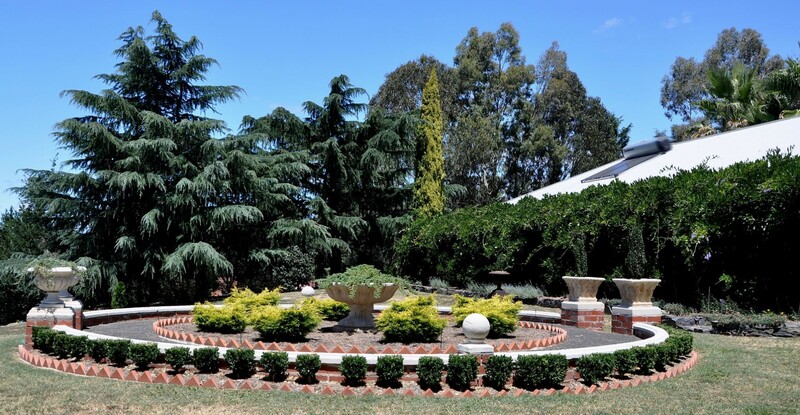 All of these styles – the Arcadian, the Gardenesque, the High Victorian and the Boom style are overlaid to some degree in most of the historic house gardens we see in the Bathurst district and it is our ability to recognise features of these styles which allows us to get a reel feel for what went on in the creation and evolution of the gardens. The gardens seen in this way, become a living link to the people who lived in the houses in the past. All these garden styles of the past leave us with an important message for the future. A hundred and fifty years ago when the Gardenesque styles of garden were being laid out and planted there was a clear understanding of the limited availability of water. It was universally understood that water was precious and had to be managed carefully. 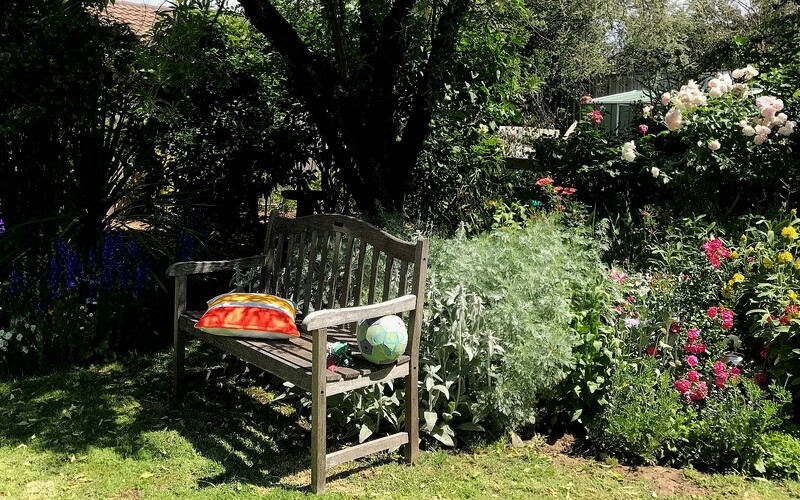 There was also a great emphasis on the growing of plants which were edible and the ideal garden contributed to the self-sufficiency of the household. There was also a strong emphasis on recycling of anything useful in the gardening methods of the mid-Victorian period. In the twenty-first century societies like ours will have to do much more to reinstate these types of values and it’s great to know that gardeners such as those assembled here this morning are leading the way. Thank you for the opportunity of speaking this morning. 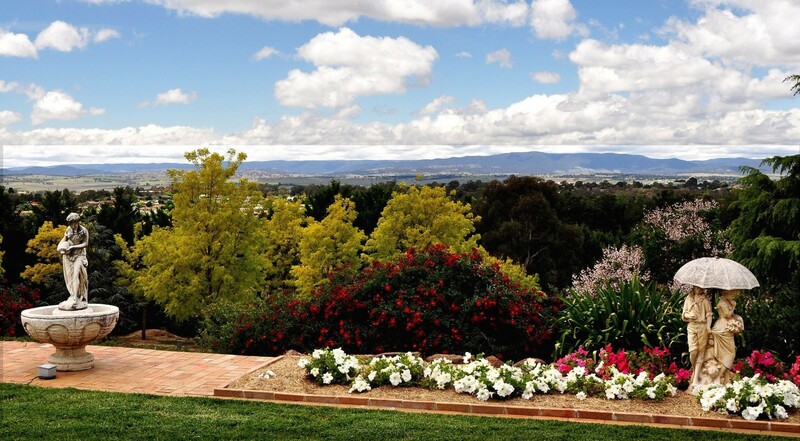 My family and I look forward to being part of the open gardens for Bathurst’s Spring Spectacular on Saturday and Sunday. The Essay by Peter Watts is the Foreword to the superb (but expensive) book “The Oxford Companion to Australian Gardens” edited by Richard Aitken and Michael Looker, published in association with the Australian Garden History Society, Oxford University Press, 2002. Juliet Ramsay authored “How to Record the National Estate – Values of Gardens” and “Parks, Gardens and Special Trees – A Classification and Assessment Method for the Register of the National Estate“, Technical Publications Series No 2, Australian Heritage Commission, Australian Government Publishing Service, April 1991. John Loudon’s very influential published works included: “Encyclopaedia of Gardening” (1822); “Gardeners Magazine” (1st Vol. 1826, to 1844); “Encyclopaedia of Agriculture” (1825); “Suburban Garden and Villa Companion” (1838); “Encyclopaedia of Cottage, Farm and Villa Architecture and Furniture” (1833); “Aboretum et Fruiticeum Britannicum” (1838): His wife Jane Loudon also wrote and published prolifically including among others: “Ladies Flower-Garden” magazine (1838); “Gardening for Ladies” (1840); etc.